In 1737, Anna Konig and her fellow church members stagger off a small wooden ship after ten weeks at sea, eager to start a new life in the vibrant but raw Pennsylvania frontier. On the docks of Port Philadelphia waits bishop Jacob Bauer, founder of the settlement and father to ship carpenter Bairn. It's a time of new beginnings for the reunited Bauer family, and for Anna and Bairn's shipboard romance to blossom. When Henrik Newman joins the church just as it makes its way to the frontier, Anna is torn. He seems to be everything Bairn is not--bold, devoted, and delighted to vie for her heart. And the most dramatic difference? He is here; Bairn is not. Far from the frontier, an unexpected turn of events weaves together the lives of Bairn, Anna, and Henrik. When a secret is revealed, which true love will emerge? Book 2 in Suzanne Woods Fisher's Amish Beginning Series, I highly recommend going back to the first book, Anna's Crossing before reading this one, it gives a good picture of where this group came from and who they are. It's 1737, Anna and her friends have docked in Port Philadelphia and are ready to begin their new life. It isn't as easy as they thought and one can just picture the first impressions of this vast land as far as the eye could see. 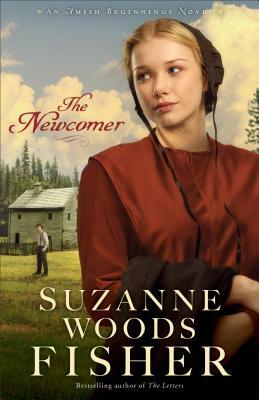 This has been an enjoyable series, a realistic story of the early Amish in North America, with the many trials and tribulations they went through getting there and all they really want is a new beginning and the freedom to worship as they please. 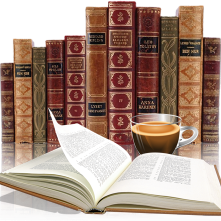 The author's notes showed the many characters direct from the pages of history as were events that took place. It wasn't an easy go for the Amish or any new settlers but they had their faith, believing God would supply the needs, both physical and emotional to adjust to an untamed land. While I really enjoyed the historical details here it was the people that really brought the story to life. The characters are believable, the struggles are real, the wilderness is scary and the Indians are not always bad. Not everyone is as they seemed and as events unfold there were enough twists and turns to make this book a pleasure to read. Definitely a series I recommend.